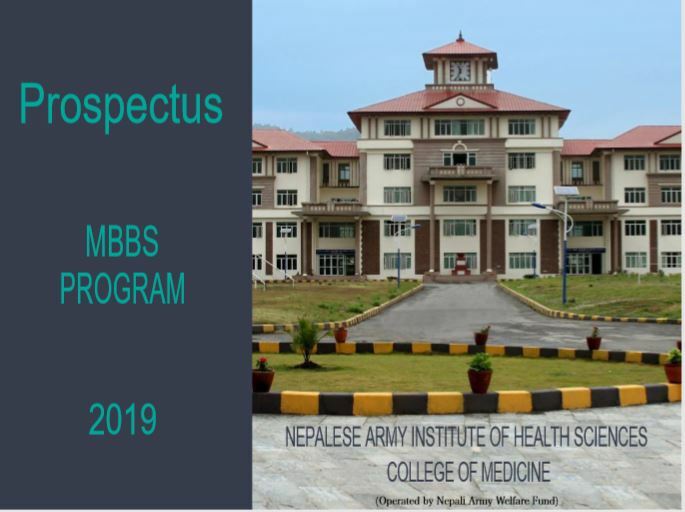 NAIHS-College of Medical Polytechnic (NAIHS-COMP) is located at Bhandarkhal, Syanobharyang; a city in the north western part of Kathmandu Valley. 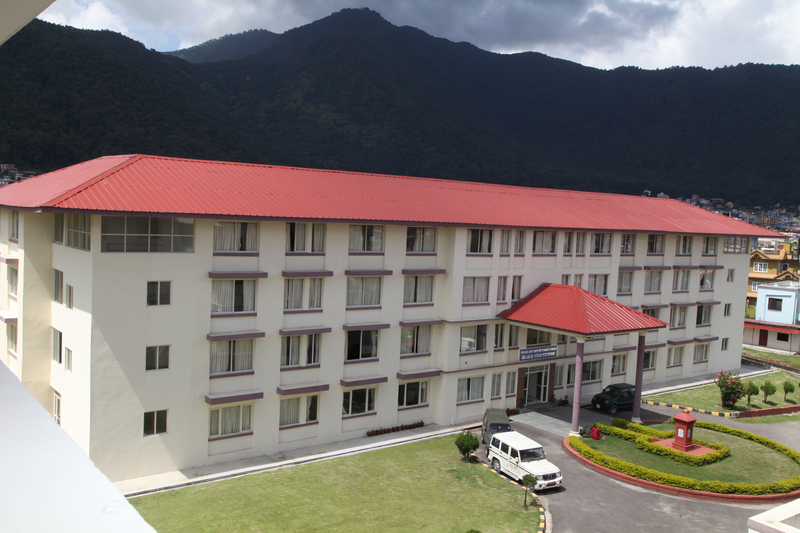 The scenic views around the college are awe- inspiring with the Swoyambhunath Stupa on its front side and the lust green vegetation of the Halchowk Hill, Ichangunarayan Hill, and Nagarjun Hill in its backdrop. The college environment is quiet and peaceful. The college has three-phase electricity supply along with generator back–up power, well equipped laboratory, sufficient books in library and has an adequate safe and wholesome water supply with its own water purification system. The college situated only about 500 meters from the ring road. The distance between the college and Shree Birendra Hospital (Teaching Hospital) is about two and a half kilometers. NAIHS-COMP has the privilege of having its own library good lighting system, ventilation and adequate space. It homes more than 2500 books including relevant journals, magazines, IEC material, reports and newspaper, electronically retrievable documents. It has facilities WiFi, photocopy and printers. The library remains open from 9:00 am to 4:00 pm. on working days. The college has access to the central library of NAIHS and the hospital library at Shree Birendra Hospital as well. There are 15 class rooms with capacity of accommodating 40 students at a time with a separate desk and a chair for each student. 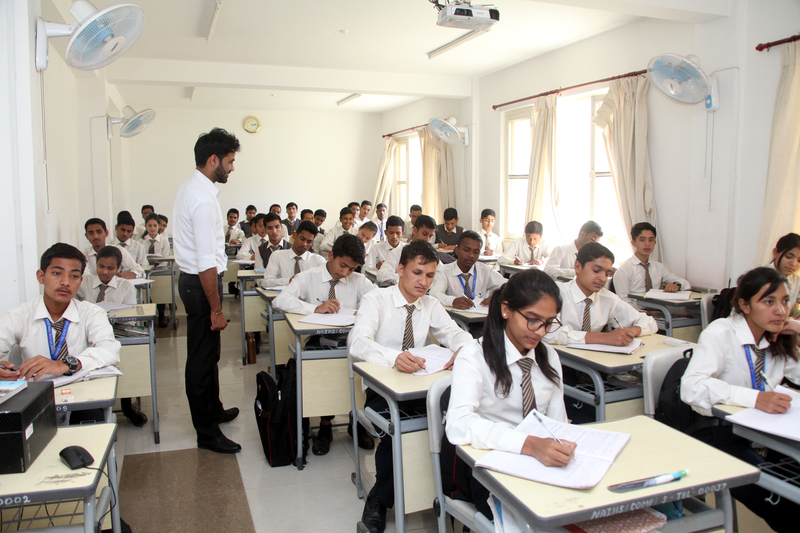 The class rooms are sound proof, well-furnished and equipped with modern audio-visual aids. There are six well equipped basic science laboratories. An auditorium with a capacity of 600 is available in the auditorium complex for seminars, conferences and other events. The College of Medical Polytechnic has a good fleet of well experienced and devoted faculty members with a long teaching career. The professionally trained faculty members strive hard to facilitate the process of teaching and learning. Many of them have completed their master’s degree from institutions within and outside the country. College buses of NAIHS-COMP ferry the students from NAIHS to Shree Birendra Hospital for clinical practices. College buses are also the means of transportation for the students participating in community field visit. All students of NAIHS-COMP are provided with emergency medical care at Shree Birendra Hospital. A separate Medical Infirmary (MI)room is available in the college complex to manage the minor injuries and illnesses. Any major chronic illnesses including malignancy,chronic kidney disease, chronic cardiac conditions etc will not be handled by the institution. All students of NAIHS-COMP will wear the designated uniform during the hours of college, hospital postings, and community field postings and on the special occasions as per the direction of the administration. They are expected to be neat, well dressed, and maintain dress etiquettes. The students will have to exhibit good manner, discipline and a high moral character in the college,hospital premises and community field visits.Stern disciplinary actions,such as, various levels of academic suspension and even expulsion from college,can result based on the degree of indisciplinary act. The institute observes zero tolerance in gender harassment. Attendance and performance in the internal assessments are considered very seriously in NAIHS-COMP. The college will not allow students to sit in the board examinations if that student fails to meet the criteria of 90% attendance requirement and a passing performance in the internal assessments. Any academic or even non-academic issues pertaining to the student’s welfare will be heard by the Student Welfare Section, Year Coordinators and beyond, if necessary.